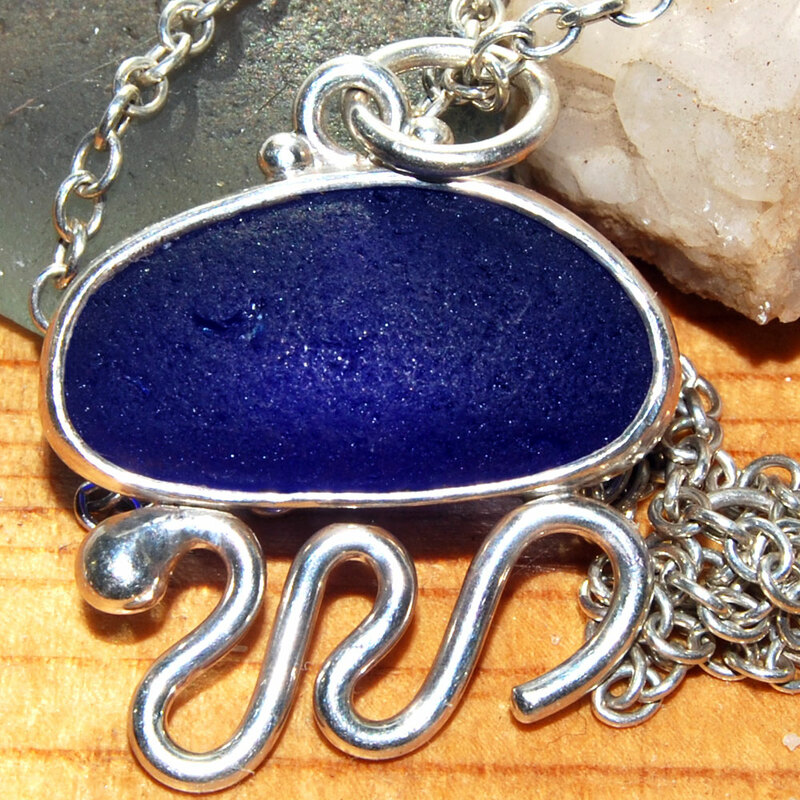 This sterling silver pendant features a perfect blue and white piece of sea glass from Santa Cruz, California. The beach glass in this sea glass jewelry piece has a smooth texture created by the ocean. Set in a band of sterling silver, and connected to a wavy form of sterling silver wire, this pendant is bound to be an attention getter. The backless sterling silver bezel allows luminescence in the sea glass. The pendant measures 1 inch wide by 1 inch tall, with sea glass being approximately 1x.5 inches. The pendant comes with a stylish 18" sterling silver chain.